This new readymade (OTR) dress is made from black velvet. 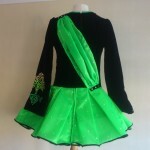 The skirt is made from emerald green twinkle satin with black edging. 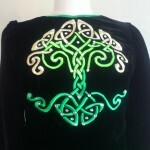 The embroidery is done in emerald green, neon green and gold thread. 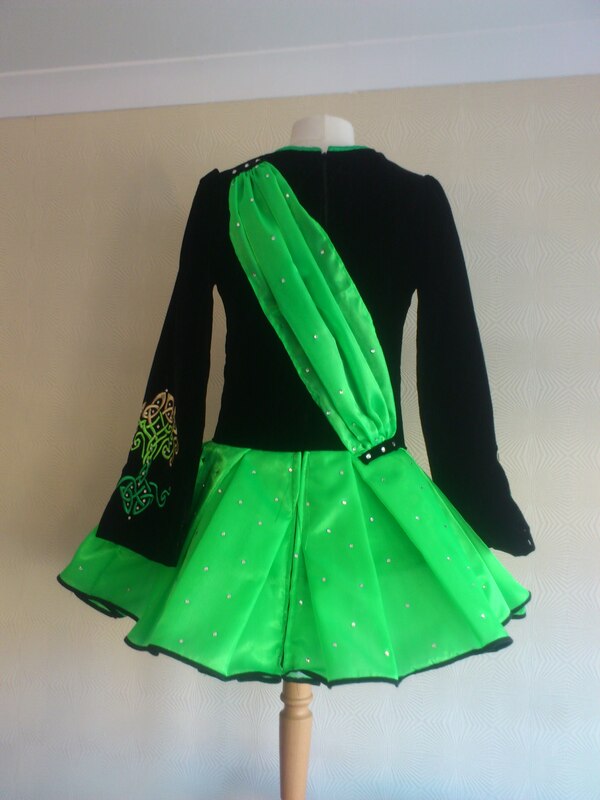 The lining of the skirt is black twinkle satin. 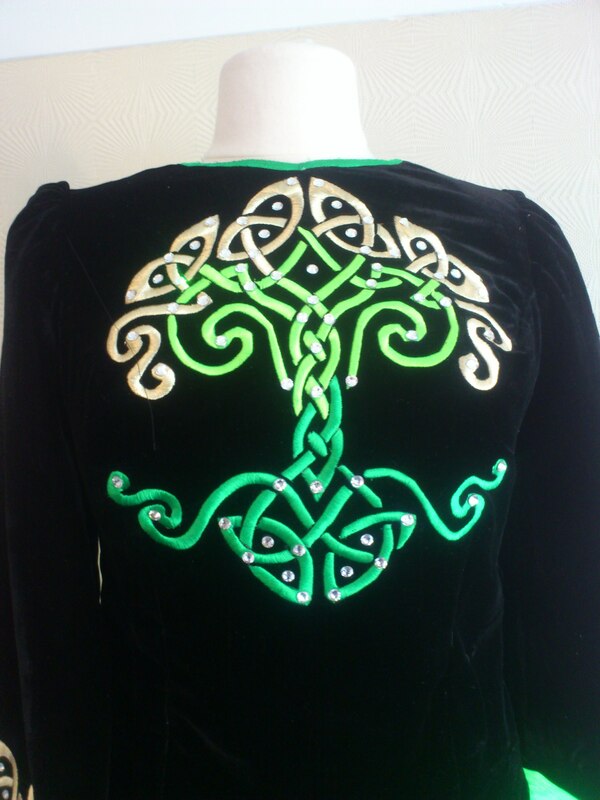 The bodice is lined in black cotton. There are 100’s Swarovski crystals covering the whole dress. This dress has a crystal number clip already attached. 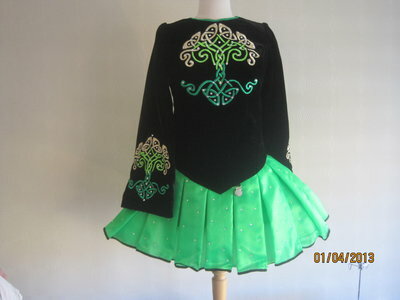 Price includes bloomers made out of the black skirt lining. There is at least an inch let out on each bodice seams, and there is at least 3in let down on the bodice and the sleeves. Asking Price: £475. Shipping costs are not included in the asking price. Will accept returns and refund the cost of the dress, buyer to pay all shipping costs.